There are almost as many ways to support the New Order as there are Agents of the New Order. I responded by telling Riku that infiltrating a miner corp and blowing up miners in the name of the New Order was absolutely a good move to make. Indeed, this kind of "selective attack" is listed on the Become an Agent page. As the page says, when you inflict damage on a player in highsec, it becomes a revolutionary act if it's done in the name of the New Order. I had forgotten about Riku's EVEmail until he followed up several weeks later, announcing a successful mission. 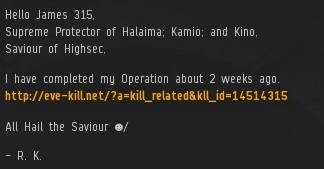 He provided me with a killboard link. Riku had infiltrated a highsec mining corporation operating out of an ice-mining system in Devoid, a region of Amarr highsec. During one of their mining ops, he brought an armageddon and laid waste to the miners, who were flying an orca, covetor, hulk, and mackinaw. 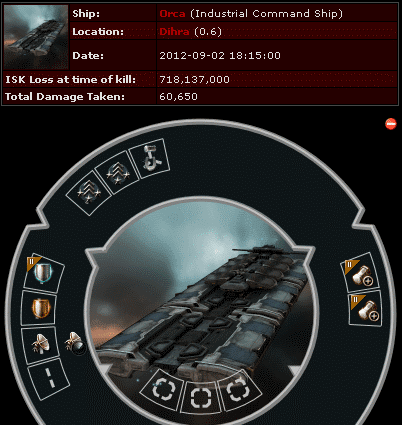 In total, well over a billion isk of damage was inflicted. This was not griefing. This was not terrorism, or even vengeance. This was justice. The miners in question had committed unspecified violations of the Code and reaped the consequences. They probably thought they could get away with their crimes by mining in the Devoid region. Or possibly they were unaware of the New Order, which is no longer an adequate excuse given the popularity of this blog. Whatever the case, they learned their lesson, and Agent Riku Klayton made highsec shine a little brighter that day. 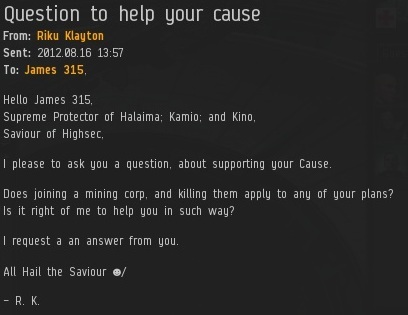 Clearly it was an act of hubris, mining in a random highsec ice field system like that with no regard to the New Order. Some people just need to learn things the hard way I suppose. 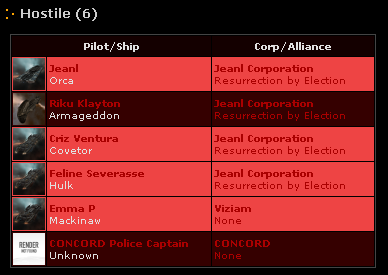 Oh and to add to the story, a Procurer under my control had them pointed the whole time. The Mackinaw had no rights of attacking me and got concorded, but with a swift target switch in the end i received the final blow. Here is also proof of this act. Ps: ALL HAIL THE SAVIOR! Nice video. Definitely a first, for a mackinaw to try suicide ganking an armageddon. I suppose he was just that angry? He was very mad. These germans were very mad. Sadly my logs are mainly and almost all in german. Otherwise I would have proven more evidence to you in an attached mail. The mackinaw poilet not only ragequit his ship but also was very vulgar towards me. I will see in the future of how they have developed. You may like to send me this log, i will translate it for you. I'll have to filter the logs out... might take some time.